History of Vietnam in late 1850s was marked by French colonists’ invasion in Indochina. Gunships of Rigault de Genouilly, under Napoleon III of France’s orders, assaulted the port of Da Nang in 1858. This caused a significant damage, but gained no foothold. Besides, humidity and tropical diseases were great burdens of the area in this process. 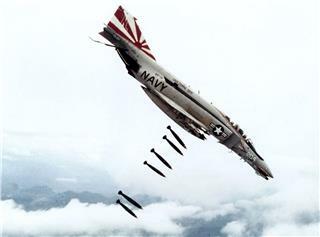 For that failure, De Genouilly decided to move southward and attacked Gia Dinh (present-day Saigon), a poorly defended city. From 1859 to 1867, French invaders expanded their control over six Mekong River Delta provinces, which sooner became a colony of France known as Cochinchina. A few years later, Northern Vietnam was landed in by French troops which seized Hanoi twice in 1873 and 1882. Although top commanders of France were trapped and killed by the Black Flag Army, French troops attempted to remain its power in Tonkin. After the Tonkin Campaign (1883-1886), French colonists supposed to control all Vietnam. During the time of Tonkin Campaign (in the north of Vietnam), in Central Vietnam, a Treaty of Hue or Protectorate Treaty was signed between France and Central Vietnam on June 6, 1884. According to this protectorate, French colonists had a right to rule Vietnam for the next seven decades. This treaty rehashed the main tenets of Harmand Treaty of August 25, 1883 with some less harsh provisions. From October 1887, French Indochina was formed in three parts of Vietnam: northern Vietnam as Tonkin, Central Vietnam as Annam, and Southern Vietnam and Cambodia as Cochinchina (then in 1893, Laos added). Yet, the status of each part was different. Cochinchina had the status of a colony, while Nguyen Dynasty still ruled nominally in Annam, and Tonkin was controlled by a French governor with the support of Vietnamese officials’ local government. During the time of French invasion, there were a large number of movements and uprisings occurring against France. Between 1885 and 1889, it was the breakout of Can Vuong Movement, a large-scale revolt of Vietnamese against the rule of French colonists. 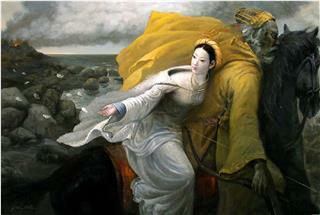 The aim of this insurgency was to drive out French invaders and to take Ham Nghi Emperor to this throne. However, this movement was not successful as its incoherent national structure. Initially, this movement flourished and defeated French strongholds in Central Vietnam, yet, more French troops were poured into this area which led to the later failure of this movement. In 1886, the sedition in Annam spread more and reached its peak until its collapse by 1889. 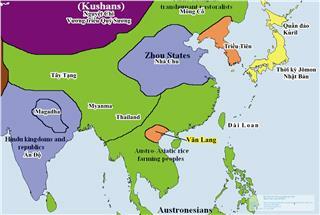 After Can Vuong Movement, there were revolts of Thanh Thai and Duy Tan (Kings of Nguyen Dynasty), but they failed. Then, they were exiled into Africa. Besides, many uprisings of mandarins were carried out, but because of poor weapons, these movements finally failed. By 1900, a new trend of revolts bloomed. Leaders were young activists who partly depended on Western philosophy to found a republic upon independence. Some Vietnamese independence societies, which were seen as a kind of model society, were established in Japan. Typically, it is Dong Du Movement (“Go East”) led by Phan Boi Chau in 1905. His plan was to send Vietnamese students to Japan to obtain modern skills to lead successful armed rebellions against French colonists in the future. 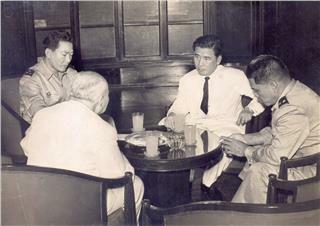 However, his plan failed because of French diplomatic pressure, which forced Phan Boi Chau to leave Japan for China. After that, Phan Chau Trinh led a second movement called Duy Tan (Modernization). This movement was to educate people, modernize Vietnam, and strengthen understanding and resistance between Vietnam and French. Unfortunately, after a short time later, this movement also suppressed by French. 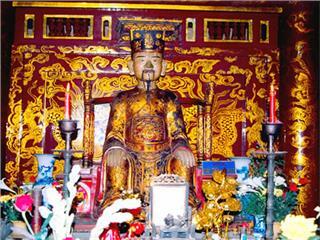 Cannot bearing the fact, Phan Boi Chau established Vietnam Quang Phuc Hoi in Guangzhou. 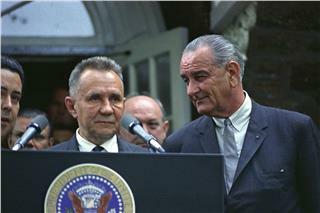 The association aimed to recover Vietnam and establish an independent and republic nation. Yet, in 1925, Phan Boi Chau was captured in Shanghai by French who spirited him to Vietnam. In 1927, Vietnamese Nationalist Party was set up, which inherited from the Kuomintang in China (the Chinese Nationalist Party). 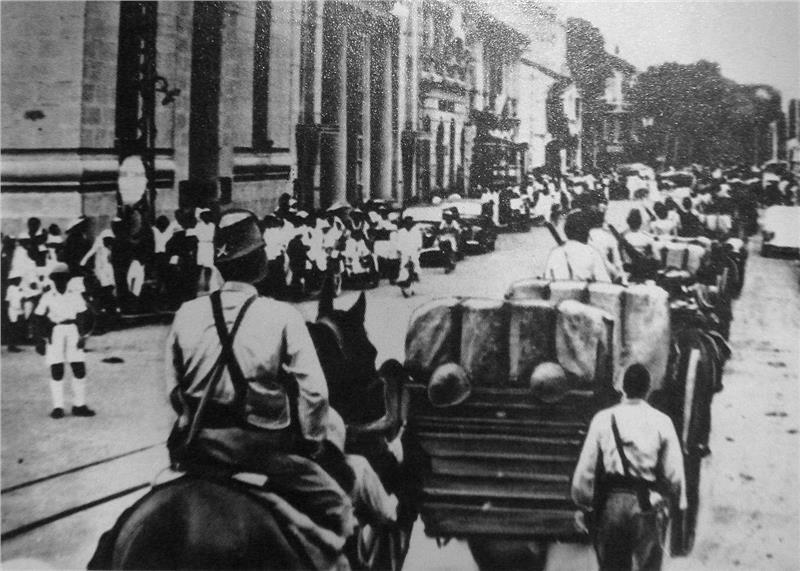 In 1930, Yen Bai Munity, a large-scale revolt was launched in Tonkin. 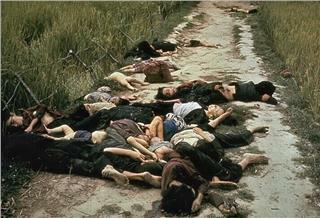 However, this triggered its leader, Nguyen Thai Hoc and other leaders arrested and executed. In World War II, French became weak in the world battle, and then it was defeated by Germans in 1940. Thus, the power of French in Indochina reduced significantly. In 1940, Japan invaded Vietnam which marked a point in this period of Vietnam history. The colonial authority in Indochina was the collaboration of French and Japanese according to Vichy French treaty. Although all affairs in the colony were run by French, the power resided in the hands of Japanese. The Japanese invaders backed the Empire of Vietnam with Bao Dai as Head of State, and the French authorities were put in prison. After the failure of Yen Bao Munity, in 1941, Viet Minh common front was founded by Ho Chi Minh. This front was controlled by Indochinese Communist Party (later Communist Party), and it was seen as a common group for other party in the cause of regaining Vietnamese independence. 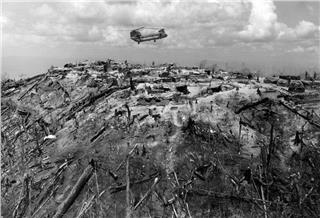 During 1944 – 1945, Northern Vietnam had to suffer a serious famine owing to poor weather and Japanese exploitation, which resulted in the death of 1 million people. Taking advantage of the administrative vacuum of French authorities, in March 1945, Viet Minh ratified Vietnamese people in the north to pillage rice warehouses and refuse to pay taxes; about 100 warehouses were captured. 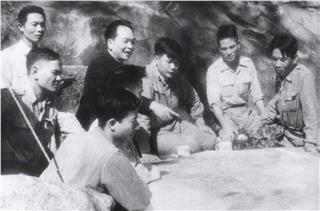 By virtue of this rebellion, Viet Minh gained its popularity and appealed more members in this period. After the success in March 1945 which was seen to be a favorable condition for rising up to ambush Japanese and force them to surrender in August 1945. This formed a political gap in Vietnam when the French were interned and the Japanese forces were defeated by the Allies, and Viet Minh. 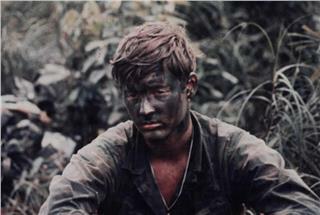 Thanks to the Vietnam August Revolution, Viet Minh entered and clutched the power in Vietnam. 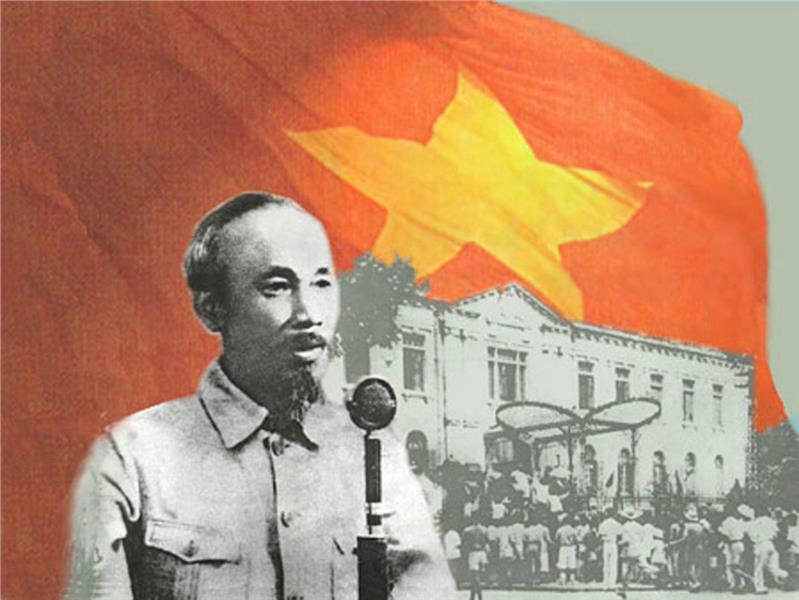 On September 2, 1945, the leader of Viet Minh, Ho Chi Minh, made a Declaration of Independent Democratic Republic of Vietnam in Ba Dinh Square, Hanoi, in front of 500,000 people. In this declaration of independence, Ho Chi Minh restated the Declaration of Independence of the United States that all men have his own equal right, they have rights to live, to be free, and to achieve happiness. After that, Japanese military forces were disarmed by Chinese, Vichy French officials and military officers were interned after the surrender. Although Viet Minh gained power in Vietnam, the Allies supposed that Vietnam belonging to France. At that time, the French did not retake Vietnam immediately, so Vietnam was divided into two part: the North Vietnam was occupied by Chinese armed forces, while the South Vietnam was rearmed by British troops. However, with the desire of reunifying all the country, Ho Chi Minh urged the support of the Soviet Union, along with attempting to negotiate with France. 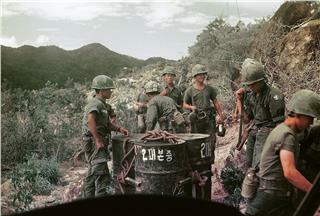 At this time, the French was gradually retaking its power in Indochina. In January 1946, an election across northern and central Vietnam was held with the winning of Viet Minh. On March 6, 1946, Ho Chi Minh signed an agreement with the French. According to this agreement, the French were allowed to take the place of Chinese armed forces; at the same time, the French had to recognize the Democratic Republic of Vietnam as an independent nation in Indochina Union and French Union. 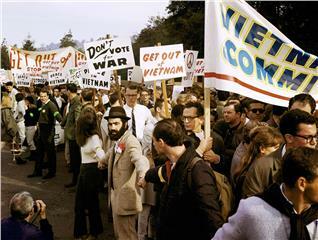 Besides, the French had to agree to hold election in Southern Vietnam to reunify the country. After that, all Vietnam was in the control of France. 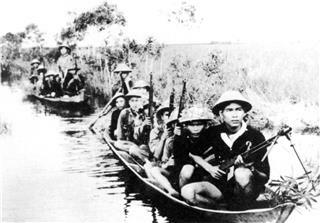 However, at the same time, the Viet Minh started its guerrilla war against the French. 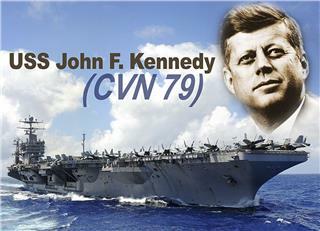 This led the first Vietnam War in Indochina. 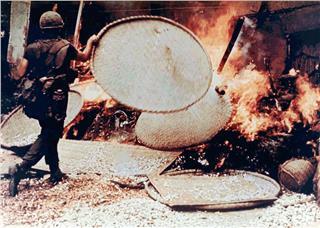 Laos and Cambodia joined this war. 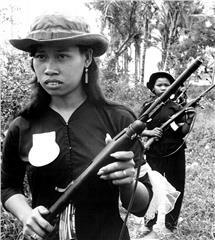 Pathet Lao and Khmer Serei movements were organized by communists. At this time, the rapprochement between Western powers and Soviet Union in World War II no longer existed in the Cold War. 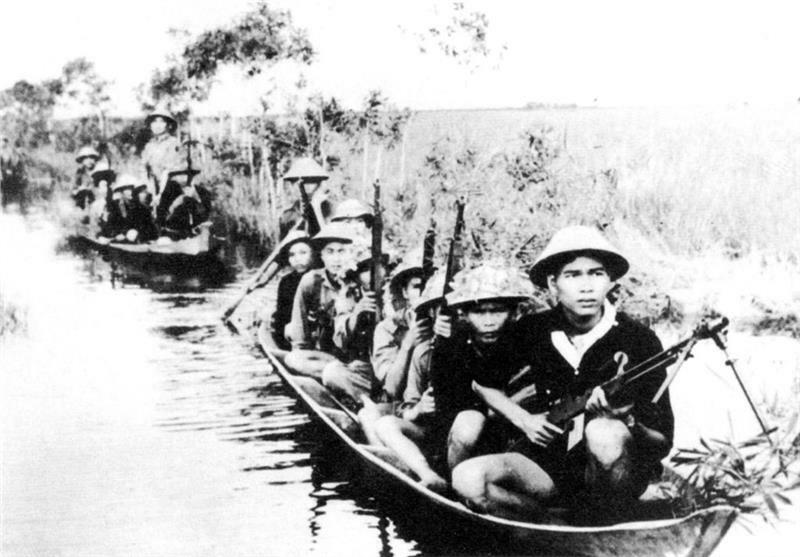 By 1949, by dint of the winning of Chinese Communists in Chinese Civil War, the Viet Minh were freely supported with arms to begin its resistance war against French.